If you are an Anime/Manga fan and you didn't watch Monster, then you are missing out on one of the best Anime/Manga series ever created boasting the best storyline I have ever encountered. However, if you don't really enjoy Anime/Manga I still believe that you will definitely fall in love with the series. So what are we dealing with here? Monster is a sychological horror/Detective fiction Manga written by Naoki Urasawa which tells the story of Dr.Tenma, a successful Japanese surgeon living in Germany. The story takes you through a series of events that happen to Dr.Tenma so suddenly that it changes his whole life forever. Why is this so different than other Anime/Manga? Monster is has the best Story and character development I have seen in a series regardless of it being Anime/Manga or a TV Show. The story is so well written and develops at a constant pace that it draws you in. It leaves so many questions that need answering from the start, and does a successful job of letting you wonder and go crazy trying to find out what happens. In addition, I haven't really seen that many story/character development oriented series that has such thrill and suspense. You can read this if you want but, it has some spoilers of the 1st episode, but its really shallow nothing major. Monster takes you to Germany, years after WWI. It start by introduction the main character, Dr.Tenma as Japanese surgeon who over the years have gotten really famous as the best Brain surgeon in the whole area. Suddenly though, Dr.Tenma has a rather depressing talk with one of his patients that starts to make him question his beliefs. In an attempt to do the right thing, he chooses to save the life a young boy that was shot in the head rather than going on by instructions and saving an Important persons life. Thus after this point, thing start to change in Dr.Tenmas life as the decision he made on that day will be a mark in his life forever. I would rather not touch much on this section since you have to watch it for yourself, however I am going to just summarize how the characters are taken. First of all, all the characters eventually relate in someway to Tenma, Tenma is the center of the story. The story however doesn't constantly focus on him alone, it shifts from one character doing a totally different thing and back to Tenma and then changes again. This sort of shift, causes the person watching to wonder what is happening to Tenma, and then what is happening to the characters surrounding him. 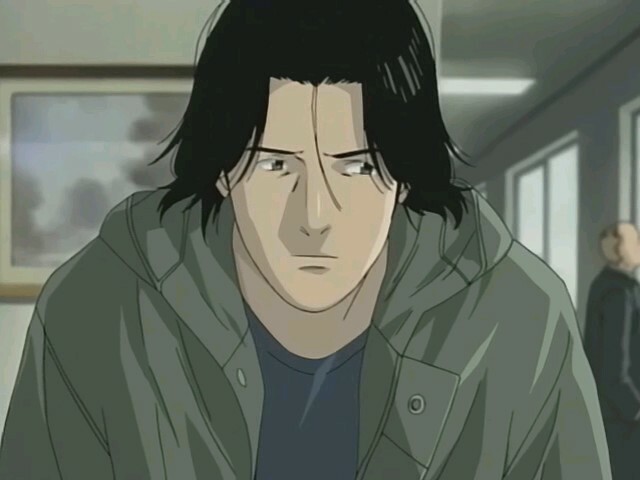 In addition Naoki Urasawa does a wonderful job of making the person watching to connect personally with each and every character as their actions represent emotions and characters in human beings. The setting does a great deal of impact on the series itself. Throughout it, you can relate to real life figures/objects/scenes as it beautifully illustrates and reflects things we see in our daily lives. The setting chosen for the story really rewards it as it helps in signifying Naoki Urasawa 's messages to the person watching. Why is Monster the best Anime/Managa ever (My Opinion)? Lets say this, the music, character, story, development, and setting all fits perfectly. I have not seen any Anime/Manga that really does a better job than how Monster started, developed, and concluding. It does feel like the most complete series I have ever watched. I feel inlove with it and it was really a rewarding experience. It's true that Monster is very good (yet slightly overrated - not the best anime ever), but this blog isn't. Couldn't you at least have pulled up some more intriguing screenshots and description? One of my favorite stories by Naoki Urasawa of all time. Truly a masterpiece that everyone should check out. Good post DragoonPK. Oh man I remember following this over the course of several years, waiting for the subs to come out. The subbing was really irregular and I couldn't wait for the next episode. The wait could have been anywhere from a few days to a few months. Sorry, yeah ill work on that.
. I eventually just wanted the anime to finish because of all the missed chances. I did like a lot of the character development and how everyone got to know Dr. Tenma because of all his good deeds throughout like the surgeries and saving people from the town fire. Overall, I thought it was pretty good considering it was mostly storyline based (not like action based). The suspense was going well until some of the parts I mentioned above. They pace the story well by constantly giving out some kind of new information. I would give it a 6/7 out of 10. Some shows off the top of my head I personally thought were better storyline-wise would be Deathnote (if that is similar enough, obviously) and The Twelve Kingdoms/Juuni Kokki. I'd say it's definitely the characters that makes this show stand out in my mind. They have a lot more depth and personality than almost any other show that I've seen. It was very interesting to see how the characters developed as the show progressed. The story was good, maybe a little too long. Animation/music/etc. was very appropriate and well done. I feel like the general environment was very well portrayed, which helps the viewer to really get absorbed into the scene. Since Death Note was mentioned, I'll give my comparison of the two. I think Death Note's strengths compared to Monster are a faster paced story line, and more stimulating action. However, I think it lacks the character depth of Monster, and also relies too heavily on plot devices to keep the story going. The best anime I've ever watched. Great storyline. I watched this with my brother and it was great. I'm glad I didn't have to wait for the subs, I would watch up to 4 episodes at night everyday. I guess I'll have to check this out. How many episodes total? I do not like when an anime has 300 episodes. The only anime I ever watched was Deathnote, which I absolutely loved. I think I'll give this a watch though! Are there any other good animes out there that I would like if I like Deathnote and I end up liking this? I found Monster to have a lot of completely redundant episodes, in the same way that American TV series put tonnes of filler in their TV shows. Which is something you don't normally see in Anime's with high production values, so I was really annoyed and stopped watching after awhile. Great ideas, great art, but really, truly awful execution. If you watch a lot of American TV, you definitely will like this. But if you don't, you may find it wastes a lot of time (unlike DeathNote I don't remember ever making me feel like I was wasting my time). Tx for this, I 've been pondering to see this particular anime for quite a while and your review convinced me it should be the next anime series I watch. Quick question, does the anime follow the manga's plot? No one is taller than the last man standing.